Your yoga strap should compliment your yoga practice. When choosing a yoga strap, consider length, closure design and material. Our 10' plastic buckle yoga strap will help you support dozens of yoga postures with the security of knowing your strap won't slip when you need it most. The 100% cotton helps absorb sweat from the hands, while the plastic design closes firmly. 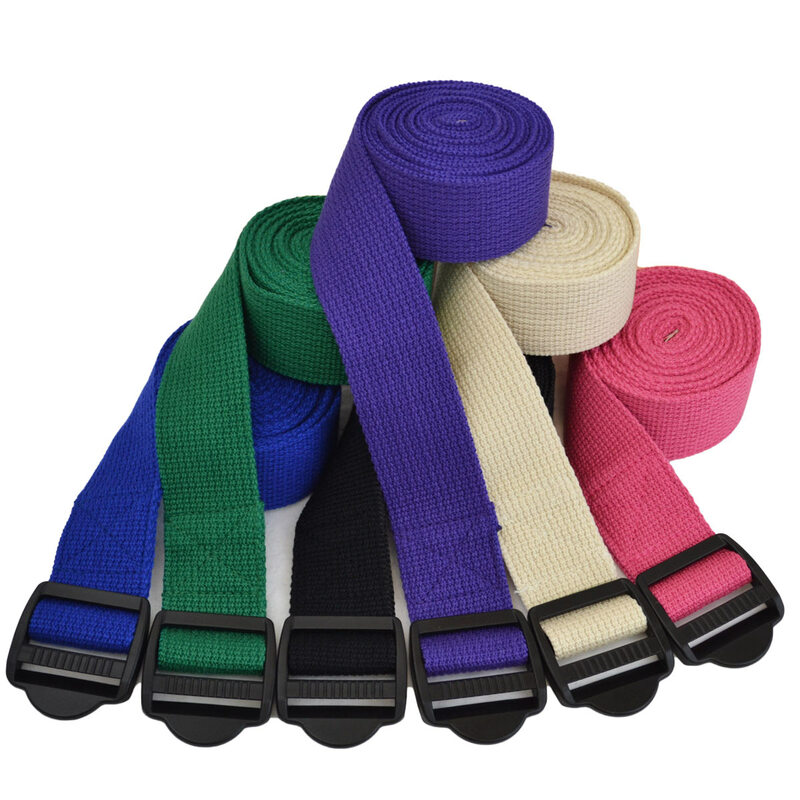 Our plastic buckle design yoga strap comes in classic colors. Yoga Props are useful for yoga students at all skill levels. Whether your students need help maintaining proper alignment in postures, or need extra length to simply connect their limbs together when they are not strong or flexible enough to do so on their own, you will find these Yoga Props are just what the doctor ordered! 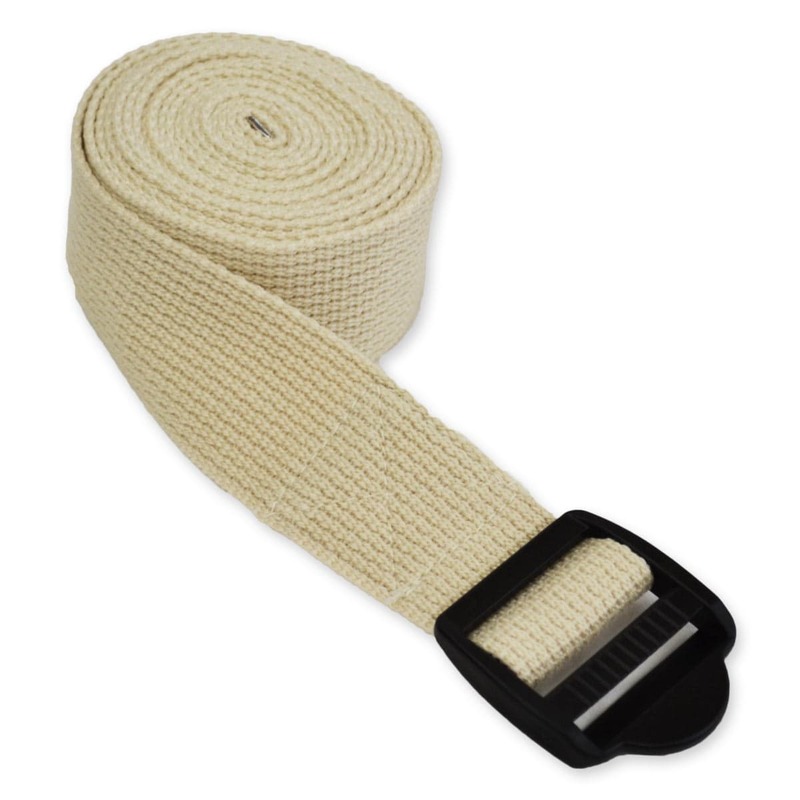 Our Yoga Props are sturdy and durable and made of 100% cotton, and these particular straps measure 10 feet long and feature a plastic cinch buckle. Sturdy longer strap with a strong plastic buckle at a fair price. What more could you ask for? Wanted a longer strap for my private teaching. This filled the bill. Buckle is sturdy, length is correct. 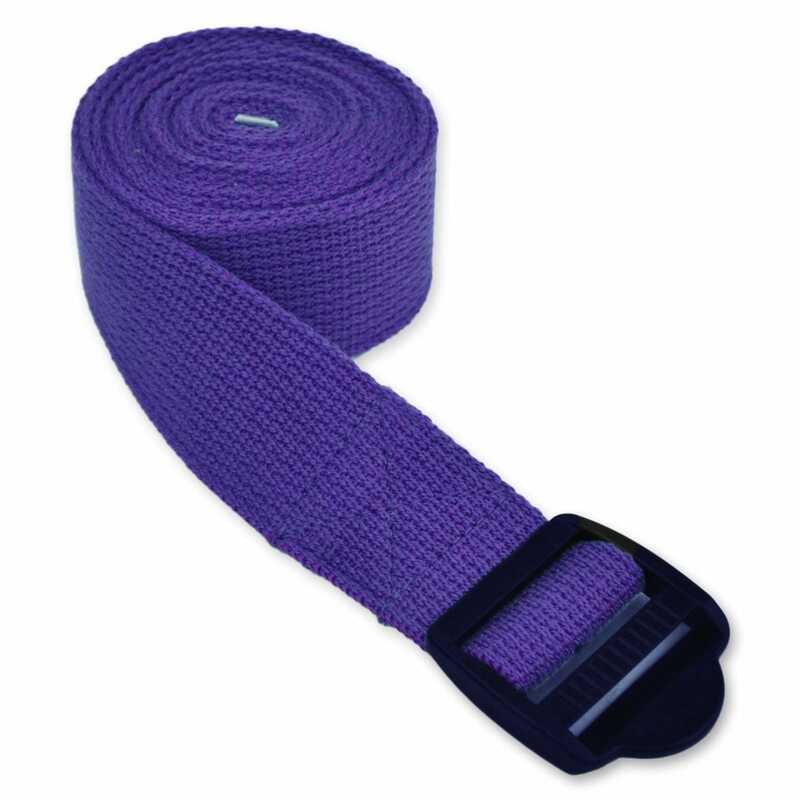 This yoga strap is a great length and made with quality and durability. These straps are fantastic--I've been using them in my classroom. They are solid, the buckles work, and the price is right. Nice quality straps at an affordable price. I had already purchased this strap in a shorter version. Wanted this one to be able to do some stretches that required a longer strap. Absolutely love the buckle on these straps because they are not loud metal rings like so many other straps. They strap itself is also wide enough to get a good grip on or to make you feel secure if you're pushing into. Also works great to hold all your blankets together when you're not in class! I love this strap!! The ten' length makes it very easy for me to do the Yoga backpack, wich was not possible with shorter straps. I also like that the blue color is so vibrant.